Spanish Armada - Philip II sent the Spanish Armada to England in 1588. England was helping the Dutch in their rebellion against Spain, and Philip wanted to weaken this aid. Also, he was trying to kill Protestant England. But, Seadog Sir Francis Drake (pirate) was robbing all of the ships, weakening the Armada. 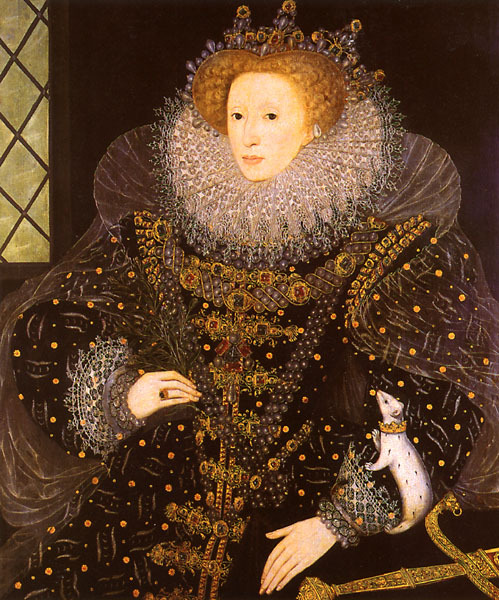 When Philip asked Elizabeth to get this pirate to stop, she knighted him and eventually the Armada was defeated. (Sarah Shea).